Are antibiotics miracle drugs or do they present us with more problems than they cure? Sam Adkins, The homeopathic Coach examines the evidence….. This sounds quite alarming doesn’t it? I think you are right to be alarmed but before we get totally negative about these drugs, we must remember that these drugs can save lives when life-threatening bacterial infections are present! So in this article let’s take a look at the main areas of concern; and for alternative and homeopathic options read my sister article: ‘Homeopathy Alternatives to Antibiotics‘. Antibiotics inhibit or prevent the growth of bacteria, fungi or protozoa. They either kill bacteria directly or prevent the bacterium from dividing and therefore multiplying. When did they come into use? Although Louis Pasteur first identified the antibiotic properties of penicillin in 1877, it wasn’t until 1939 that antibiotics were commercially manufactured for use in World War ll. Antibiotics are unable to identify good and bad bacteria. Our gut has many many species of bacteria that play roles in our health that can be described as useful to essential. The ideal gut flora is a delicate balance of different micro-organisms that have functions such as supporting the immune system or manufacturing neuro-transmitters for the brain. As soon as antibiotics are taken, many useful bacteria are wiped out and have to be replaced. It seems the gut cannot always do this itself and this can result in a different balance of gut flora resulting in underlying health issues. Antibiotics have a whole range of side effects from nausea and fever (yes fever! ); to dangerous drug interactions. For example, one type of antibiotic reacts with corticosteriods and can cause tendon damage. They can also disrupt the normal vaginal flora promoting the growth of Candida (yeast). Bacteria multiply very rapidly and can mutate to become resistant to the antibiotic that is trying to eliminate them. This is why your doctor always tells you to finish the course of antibiotics. It isn’t so much about your health directly, but about the survival in the environment of resistant strains of bacteria. These are bacteria that have evolved to be absolutely resistant to antibiotics. Their existence is predominantly due to the over use of antibiotics. Cleanliness in our hospitals is of more use than antibiotics in the face of such superbugs as MRSA. The predominance of antibiotics in our food chain also causes a phenomenon called transfer resistance in which resistant strains of bacteria pass from animals to humans. Yes you guessed it! There are antibiotics in our water supply unless it is filtered with a reverse osmosis filtration system within the home. 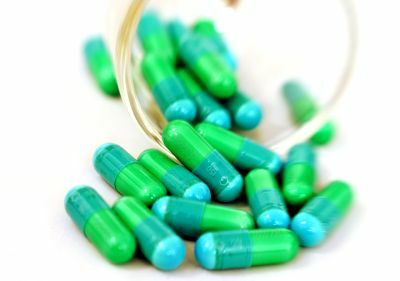 Antibiotics can be lifesaving in severe bacterial infections such as bacterial sepsis, bacterial meningitis, severe would infections and terrible diseases such as Cholera. They certainly have an amazing role in saving lives, especially in the third word. In the developed world however, they have been over used and our dependence on them as a society the moment we are unwell has been thrown into question. Next issue we will examine why antibiotics can do more harm then good with common ailments, and offer some healthy homeopathic alternatives! If you want clear information on how to treat a wide range of First Aid situations look no further than the Homeopathic Coach Guide to First Aid or if you would like to be able to treat your family for common ailments such as coughs, cold, tummy upsets and influenza you might want to get the know-how from my Online Easy Family Homeopathic Course.